appear to be, it is not a child’s play where you add whatever colors you want, where you choose whatever font you love and whatever you feel comfortable with. Designing is the field where you plunge out of your comfort zone, where you transform what you have, where you like to experiment with techniques and software, where creativity has a role to play, where innovation does the job, where things are intermingled and you have to put them in proper order, where imagination takes the lead, where colors are to be looked upon, where combinations and contrasts are everything you should know about and where newness is the key to success. Mockups are helpful to make a good presentation, since presentations can win you approvals of your clients, make it vivacious, practical and vivid so the client is satisfied that what he is being shown and how does it look in tangible form. 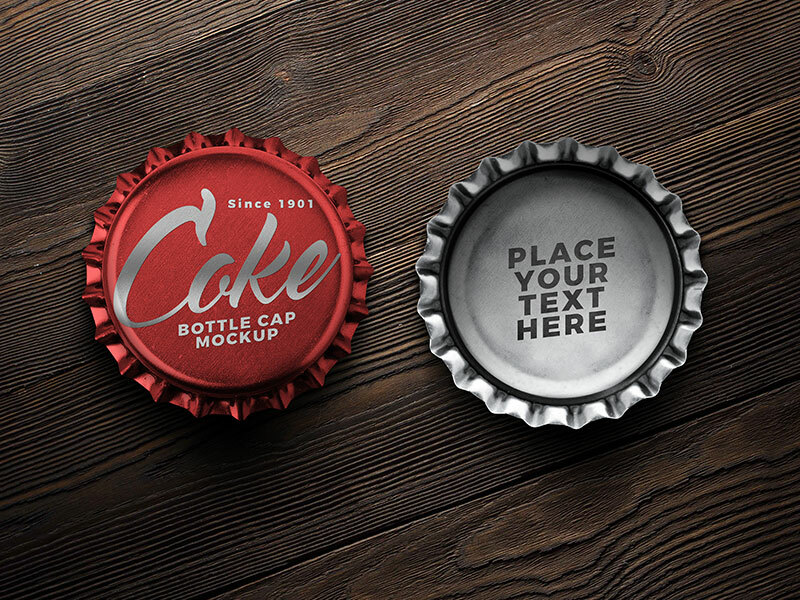 Down here I am putting forward a free bottle cap mockup which you can use as a presentation for your client, insert in the logo or the brand name demanded by your client and manifest it the way you want it to be. This cap of the bottle is usually made for the soft drinks and fizzy beverages especially for 7up and Fanta type bottles for a protective and solid opening. Use your own colors, fonts and logo design to make it look professional. Use transparent background on the bottle cap design so the written words or logo design can be popped out. For more amazing design and tech feed, stay tuned to us, we have something really amazing coming your way, we believe once in blue moon, freebies can totally be up for our visitors to help you, inspire you and to give you handful of ideas. Your feedback should not halt, we wait and anticipate for it. Here we go.